Bundle of Holding +4 is a package of innovative and independently created story games that can be had for any price, with some of the proceeds going to Oxfam and Feeding America. Psi*Run, in which a government agency is trying to track you down. Witch: The Road to Lindisfarne, which lets you re-enact the transport of an accused witch in Dark Ages Europe. How We Came to Live Here, a game that explores a fantasy version of southwestern Native American mythology. 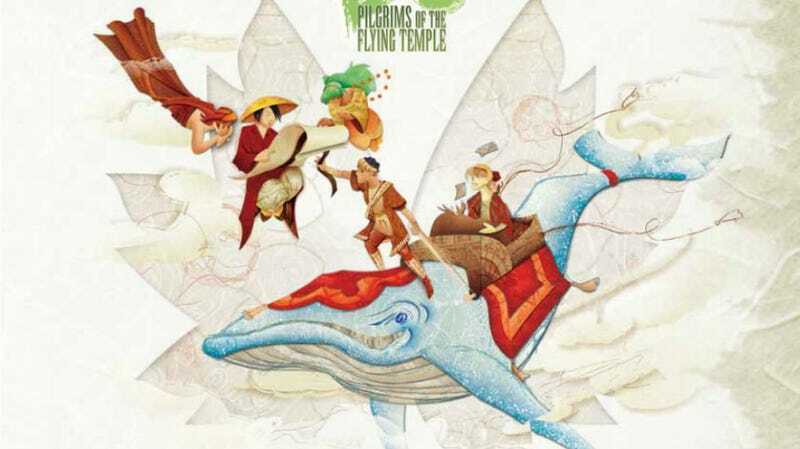 Do: Pilgrims of the Flying Temple lets you live out coming of age fantasy tales set among many tiny worlds in an endless sky. Monster of the Week, a game based on Apocalypse World in which you hunt down nefarious creatures. Viewscream, a game designed to be run via Skype as you take on the roles of the bridge crew of a starship crippled by catastrophe (with additional scenarios in other genres). These adventurous and unique story games could take your gaming group into a new direction, with new game systems and topics not usually covered by traditional RPGs.